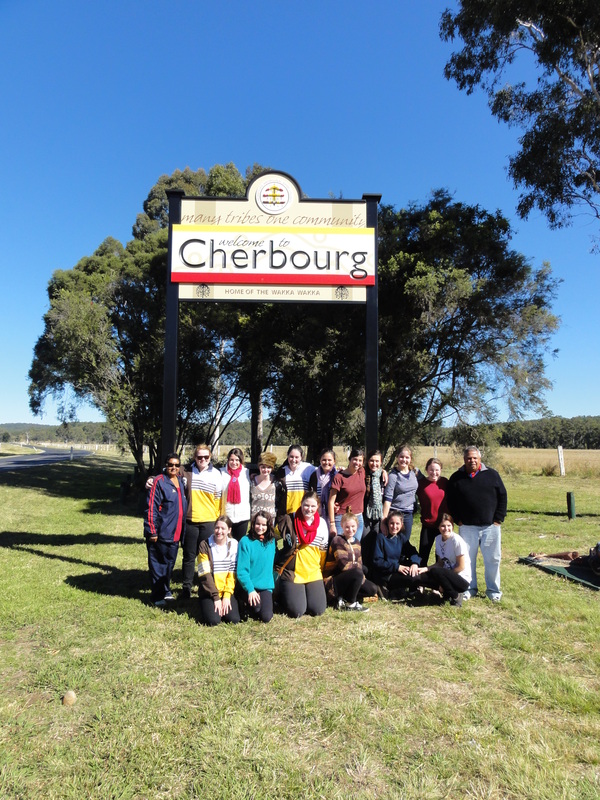 Today we visited Cherbourg to learn more about the history of the community and the Ration Shed. We were most fortunate to be accompanied by Uncle Eric and Aunty Shirley who were able to share with us their stories of growing up in Cherbourg. Uncle Eric was the first Indigenous manager of Cherbourg, its first elected mayor and currently, serves as a magistrate at the community courthouse. This visit provided a context to better understand the challenges and the achievements of the Indigenous community of Cherbourg-Murgon. 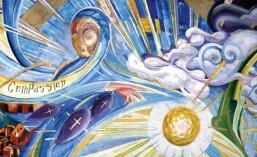 Tomorrow is our last day at St Joseph’s School. We are most thankful to Br Daniel and the staff and students who have been most welcoming. We hope the bonds forged this year between our school communities can be sustained into the future. Posted in Murgon Immersion 2012. This morning the students continued their program under the facilitation of Uncle Eric, the Indigenous Support Officer at St Joseph’s. After a short orientation to the support room (Manyung) and the Dreaming Garden, students started creating their own Indigenous art piece on a CD. The colours and creations were quite spectacular so stay tuned for the finished products! The students enjoyed morning tea and lunch breaks making friends with the students. Piggybacking, handball and football were the order the day. A highlight of the day was the time spent reading with the Year 1 class. Even the more reluctant readers couldn’t resist the opportunity to have their favourite stories read to them. It was most fortuitous that St Joseph’s was able to host the St Rita’s Music Tour after lunch. The students performed magnificently and their young audience was delighted, especially with the String Orchestra’s rendition of Michael Jackson’s Thriller. This assembly also provided us with the opportunity to show our appreciation to the St Joseph’s community for hosting us this week by way of a presentation of a bookmark designed by Claire Patterson (Year 12, 2009) depicting the three pillars of the Presentation Order. 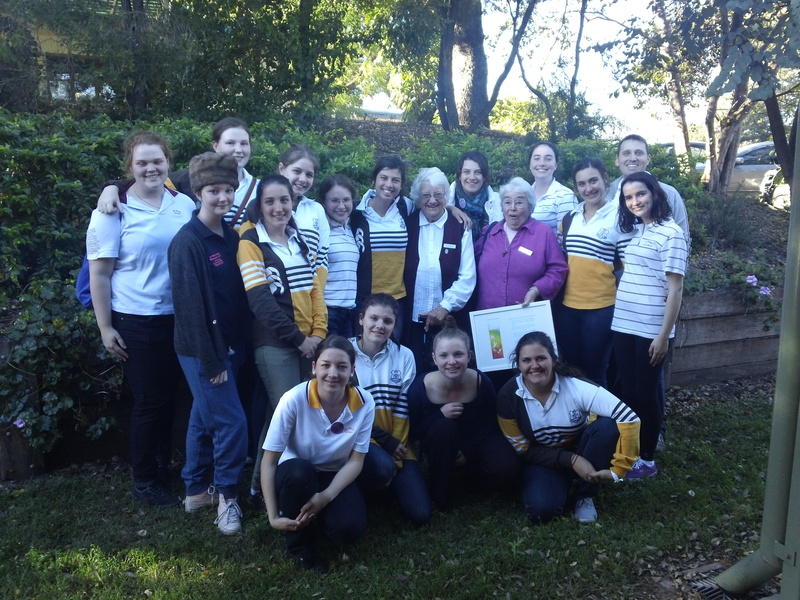 We were privileged that Sister Vianney and Sister Carmel – two Presentation Sisters based in Murgon who both have long associations with St Rita’s – were able to accept the gift on behalf of Brother Daniel and the St Joseph’s community. 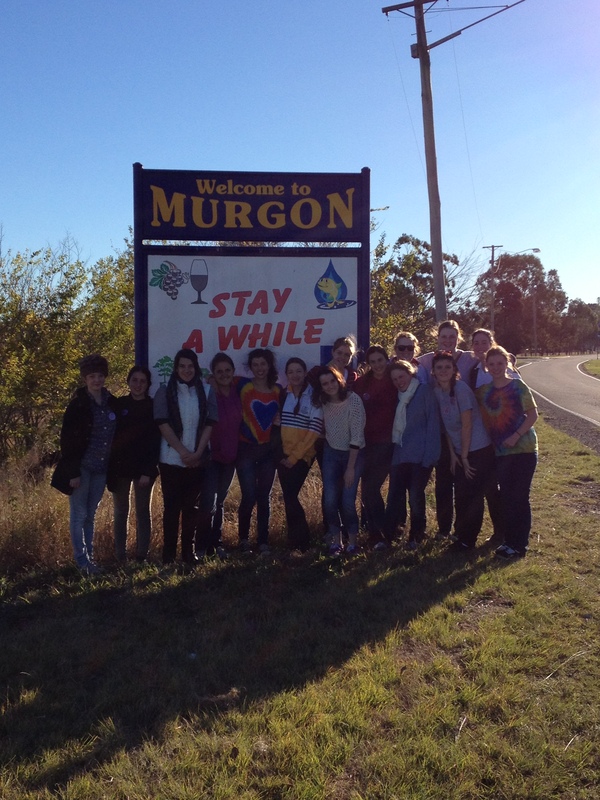 On Sunday 17th June, Mrs Brennan and Mr Rogusz accompanied fifteen students on the three and a half hour road trip to Murgon to commence their four night immersion. 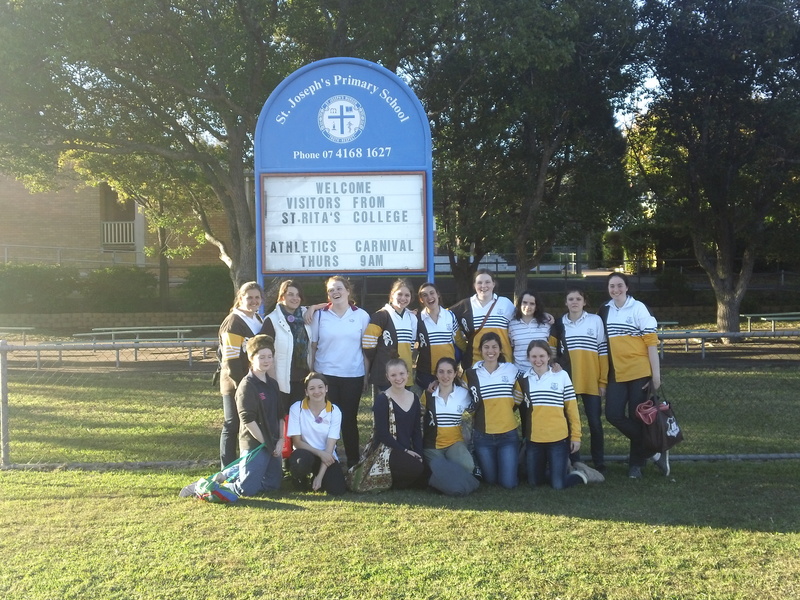 They were welcomed with a barbeque dinner hosted by some of the staff of St Joseph’s Primary School. After an evening reflection on the history of St Joseph’s – a school founded by the Presentation Sisters 75 years ago – students retired to their simple lodgings in preparation for the morning’s early start. 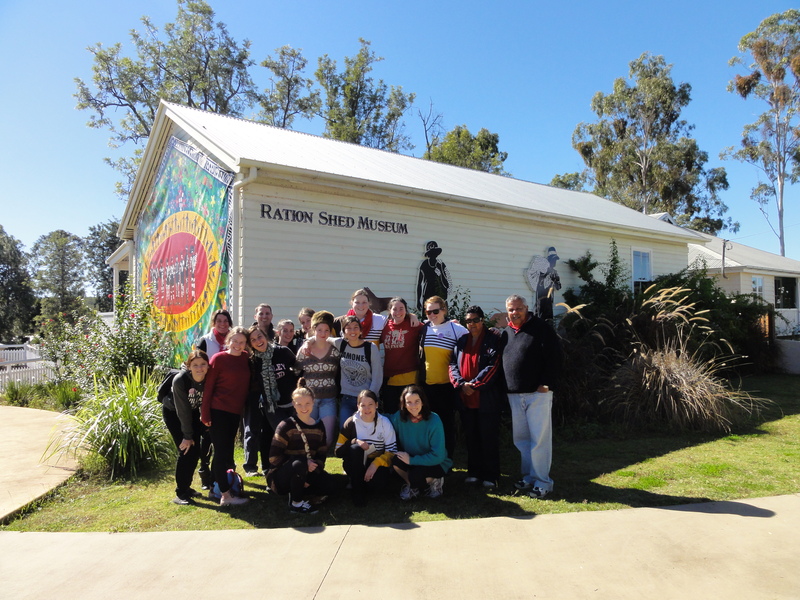 On Monday, the students visted the Barambah Environmental Education Centre to learn about the Indigenous custodians of the area, the Wakka Wakka and Culidy peoples. Students walked some traditional pathways, sampled bush tucker, learned about some significant artifacts and even tried their hand at building a gunyah. Tomorrow, the students will meet some of the boys and girls who attend St Joseph’s.